6 Celebs Who Wore *Stunning* Earrings To Wedding Functions! Hey girls, it’s that time of the year again! The time when shaadi planning begins full swing and as the wedding guest, you can only think about all the gorgeous stuff you need to buy for the bestie or the cousin’s wedding! And one rule we swear by is that a great accessory can make all the difference to your look. So before you start buying, check out these Bollywood celebs who wore the most stunning earrings for shaadi functions. We totally want these celeb earrings for ourselves! Image: Sophie Choudry on Instagram For Bipasha’s mehendi, Sophie Choudry wore a subtle yellow sharara and paired it with gorgeous (and big!) chaandbaalis. She slicked back her hair and kept the rest of the accessories minimal so the earrings can take centre stage. 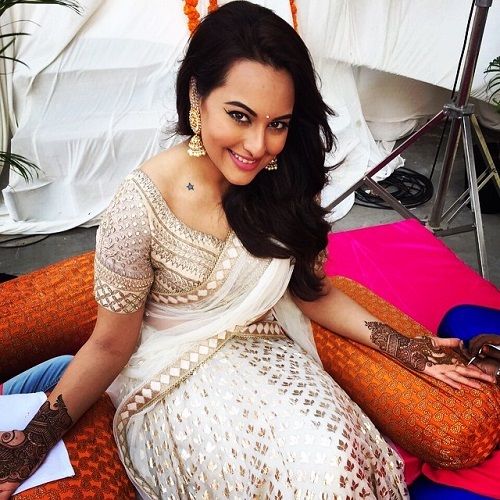 Image: Aslisona on Instagram For one of her brother’s wedding functions, Sonakshi Sinha styled a white Anita Dongre lehenga with gold and white jhumkis. We love the little pearl drops at the bottom and clearly, with earrings as stunning as these, you just won’t need any other accessory. Image: Viral Bhayani Who said you’ve got to go full ethnic each time! For Bipasha's reception, the beautiful Dia Mirza wore a pair of elegant, green tassel earrings. The stylish and understated earrings went perfectly with Dia’s silver-blue gown. Image: Sophie Choudry on Instagram Here’s another one by Sophie Choudry. For Masaba’s sangeet, the gorgeous actress wore a pastel green lehenga and styled it with super-elegant chandelier earrings. We love the hints of green and the dangling emerald green beads at the bottom. A unique design, this one’s a total stunner! 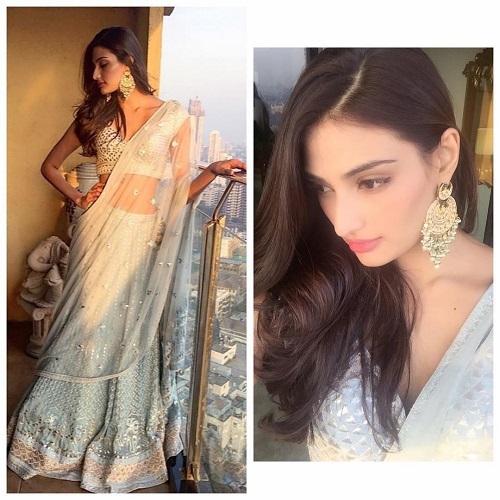 Image: Athiya Shetty on Instagram For a wedding function, the leggy lass Athiya Shetty wore a pale blue lehenga and styled it with the prettiest ever chaandbaalis. We love the gigantic size, the pretty pearl drops, the gorgeous kundan stones and everything that puts together this absolutely fabulous piece! HAVE A STORY IDEA FOR POPxo? If you want to hear about it, we can write about it! Just tell us your idea here! 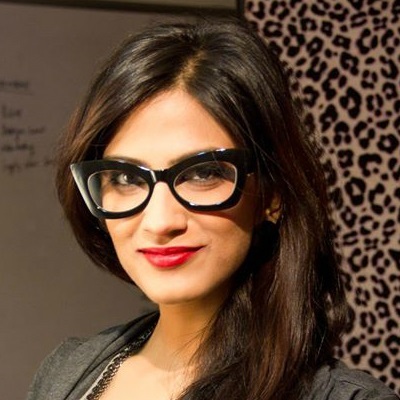 MUST-READ: Gorgeous Earrings For Every Shaadi Function: Team POPxo’s Favs! MUST-READ: Deewani Mastani: 7 Gorgeous Earrings To Look Just Like Her!